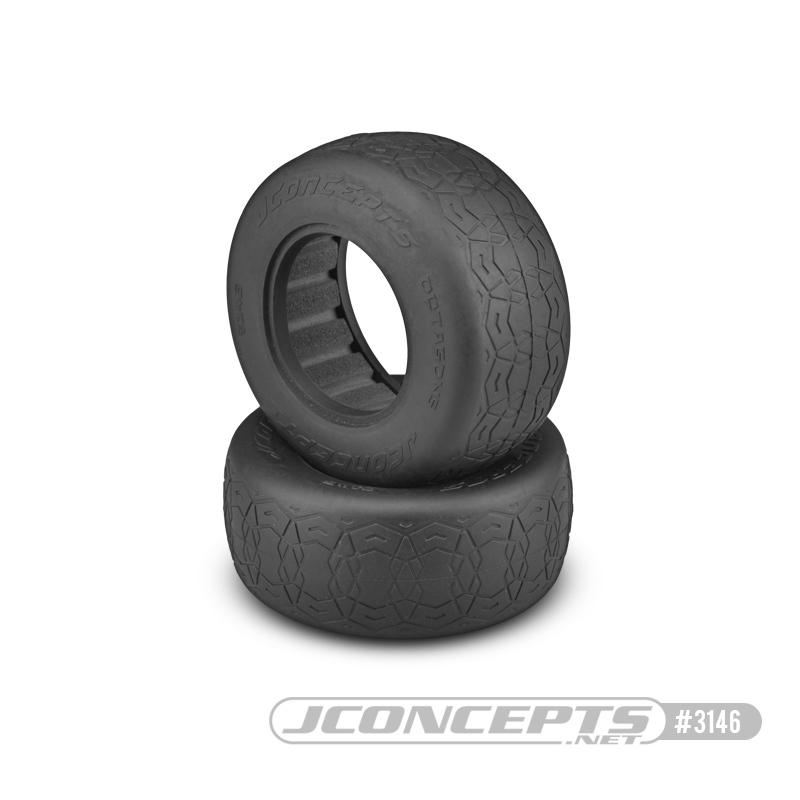 The carcass is new, slightly rounder and lower profile than JConcepts slick tires of the past and incorporates heavy X-pattern style inner ribbing for increased support. The continuous thickness carcass is light-weight and utilizes the industry standard 3.0” x 2.2” mounting bead. Like the name suggests, the embossed tread which is Octagon shaped is repeated and overlapped to form a subculture of grippy surface edges for dry or abrasive surfaces.